Mark Twain is certainly one of the most beloved American authors of all time. Tom Sawyer and Huckleberry Finn are such quintessential examples of American literature that it surprised me when I first realized that he had also penned the popular British fairy tale, The Prince and the Pauper: A Tale for Young People of All Ages. 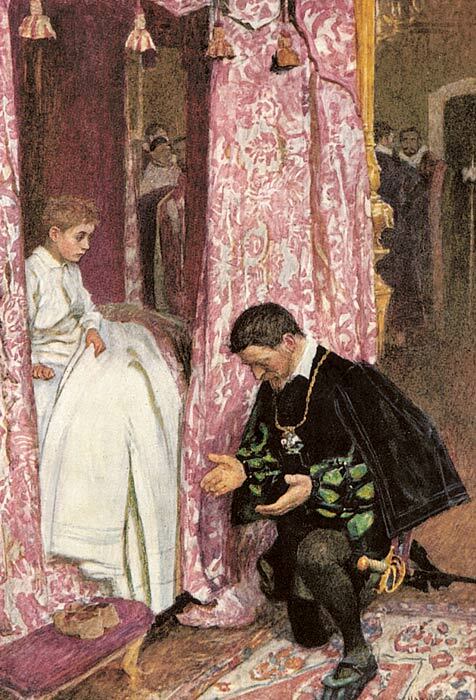 The story is well known— Edward VI, Prince of Wales and son of King Henry VIII, takes pity on a young pauper, Tom Cantey, looking through the gates of the palace and invites him in. They go up to the prince’s dressing room where the prince askes Tom about his life. While much of it is admittedly dreadful, Edward envies Tom’s freedom and proposed to switch places for the afternoon. He does not anticipate their identical appearance nor consider that he will not be able to regain admittance to the palace dressed as a pauper. To the shock of both of the boys, they are forthwith treated exactly as the other by their family, friends and acquaintances, and both are accused of madness when they try to explain who they really are. Not long after Edward’s banishment by the guards from the palace, King Henry VIII dies, and Edward is proclaimed king. Tom, having explained the situation in vain, decides he must try to perform what is expected of him and does his best to play the part. Edward, however, furiously proclaims his true identity to all who can hear, much to the amusement of the public. A young nobleman, Miles Hendon, returning from war takes pity on the “mad” little pauper and rescues him from many of his scrapes. 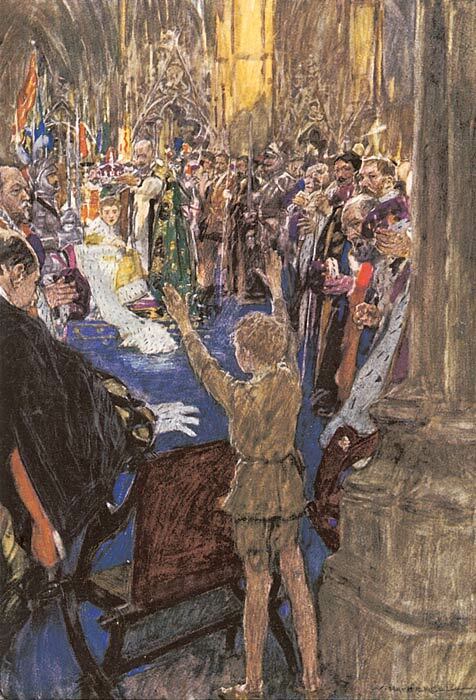 The story ends with the coronation of King Edward, and the rightful king enters just as the pauper is about to be crowned. Tales of mistaken identity and doppelgangers are a perennial favorite in our culture. Daphne du Maurier’s novel The Scapegoat is practically a retelling of The Prince and the Pauper, and other references existing both in fiction and in film today are seemingly endless. Yet Twain delivers the original tale with flourish. His usage of Early Modern English in all of the dialogue and his portrayal of the innocent simplicity of young boys navigating unchartered waters is charming. He also occasionally inserts his subtle, dry wit as the narrator commenting on the various events in the history. This particular Folio Society edition is a gorgeous reproduction of the first American edition published in 1881. 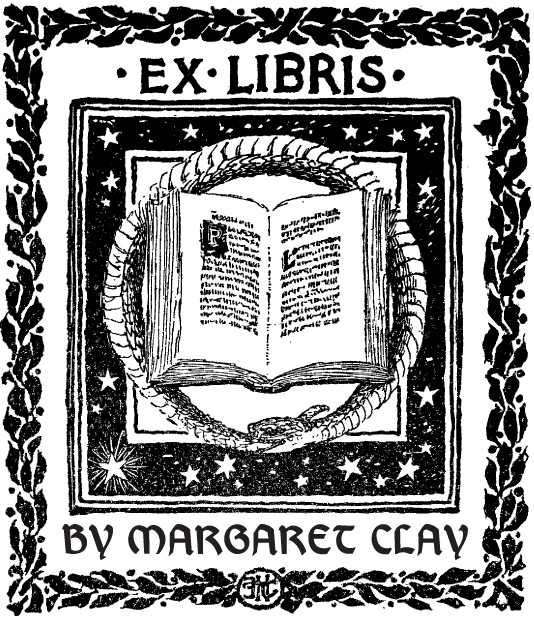 It also contains the original illustrations by William Hatherell (1855-1928), and features a gold-blocked cover. It is truly a stunning copy, and the elegant paintings of various scenes serve to complete the reader’s experience of the story. 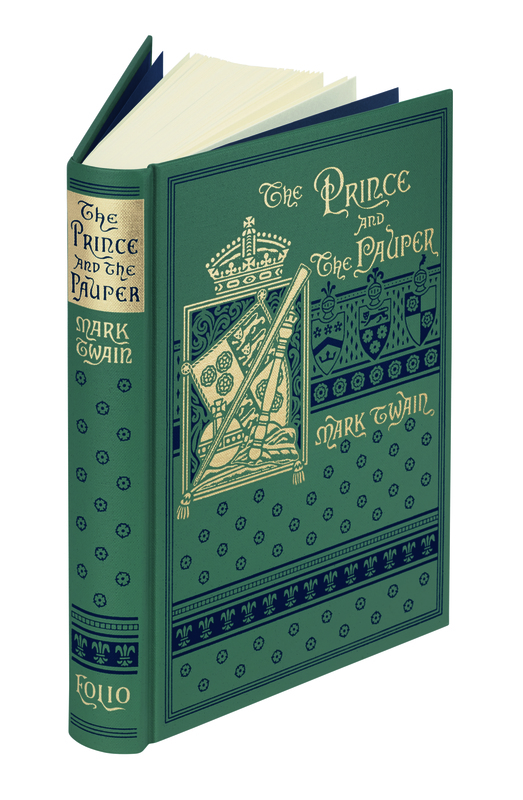 BINDING ILLUSTRATION BY Frances Button FROM THE FOLIO SOCIETY EDITION OF The Prince and the Pauper.